‘Sharing Shenstone’ is an outreach hub that is part of Shenstone School in Bexley. 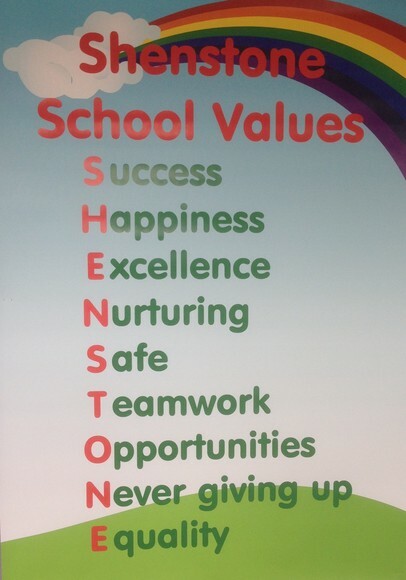 Shenstone is a school for pupils with severe and complex learning difficulties. There are places for 140 pupils (nursery – year 6) across two sites in Sidcup and Crayford. The outreach hub service plan has been developed with the vision and intention to be able to offer support to the growing number of pupils who have complex learning needs in mainstream nurseries or schools. The aim of the outreach service is to improve outcomes for pupils with complex learning needs through the empowerment of staff, training and development of resources by making best use of the expertise within Shenstone School. Outreach support is available for pupils with complex SEND across all TKAT and Bexley local authority schools. All support is tailored to meet individual schools and pupils’ needs. Courses available to commission for support are included on the following pages and course fees are dependent on the type of training and support offered. Team Teach is an accredited training programme for school staff dealing with challenging pupils. The foremost aim is to promote de-escalation of difficult situations, though it also teaches safe and respectful methods to intervene physically when necessary. A two day course is offered at Shenstone several times each year and is aimed at special schools and those school with resource units. A one day course is offered at Shenstone several times each year and is aimed at mainstream schools who are dealing with a number of pupil with SEN and challenging behaviour. A one/two day and refresher courses can be delivered at your setting and are designed to meet specific need of individual schools. Behaviour INSET: courses are designed to help staff feel more confident when dealing with challenging behaviour for those pupils with SEN. The course can be designed to meet your needs. -To feel more confident about being able to support pupils with SEN and challenging Behaviour. -To develop strategies for looking, listening and identifying behaviour triggers before they happen. -To look more constructively at behaviour and think what it might what might it be telling us. Signalong: Signalong is a key word sign-supported communication system based on British sign language and used in spoken word order. It uses speech, sign, body language, facial expression and voice tone to reference the link between sign and word. Courses of varying length can be offered depending on the needs of the participants. Courses are currently run at Shenstone for both parents and staff. Attention Autism: The Attention Autism Programme introduces practical ways to make learning motivating through 4 different stages. It looks into how to engage children and teach them to focus, and sustain their attention, both individually and in groups. It aims to build confident and fluent use of: dynamic visually supported communication skills; adapted and modified language to increase understanding and spontaneous expressive communication; delivery of activities that inspire a child’s attention and motivate communication. One day courses teach stages 1-2 of the intervention and two day courses teach stages 1-4 of the intervention. Reduce manual handling/moving and handling accidents and injuries. To be aware of risk and implement strategies to minimise these. To be trained to a recognised standard. To lift and carry safely. Moving and Handling (people): This is a bespoke course tailored to meet staff’s needs when working with pupils who have physical disabilities. Training includes – legislation, risk assessments and practical activities.